We specialize in authentic 19th century men's fashion and furnishings. Timeless, iconic styles which are historically authentic, but equally at home in a modern gentleman's wardrobe. 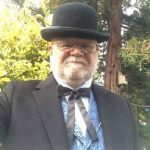 We carry a full line of goods, featuring frock coats, victorian and western shirts, victorian waistcoats, trousers, top hats and bowlers, footwear, walking sticks, and other necessities. By shopping with us, you can be assured of authentic clothing, affordable prices, and genuine customer service. Thanks for visiting, and be sure to bookmark us. Good variety of products, easy to use website, product very satisfactory, shipping and price reasonable. I am delighted with my purchase! Very well made and perfect for the 125th Anniversary celebration I am attending. The dress came well before the delivery date on the website which was a pleasant surprise.